These are our premium, precision made small diamond drill bits. 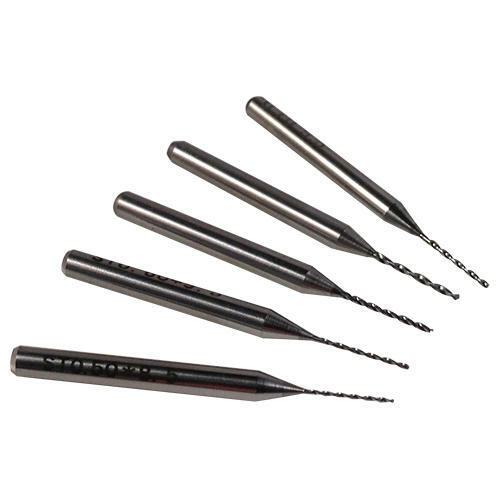 Excellent for drilling small holes in some of the hardest materials around. 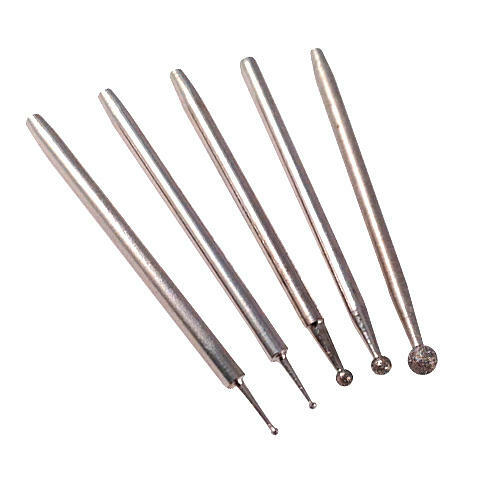 Very popular with jewellery makers, these diamond drill bits are used for drilling holes in shell, drilling holes in tough glass, drilling holes in beads, drilling holes in tough sea glass and drilling holes in hard stone, gemstone, concrete, pebbles, precious and semi-precious stone, porcelain, optical material, composites and rock. 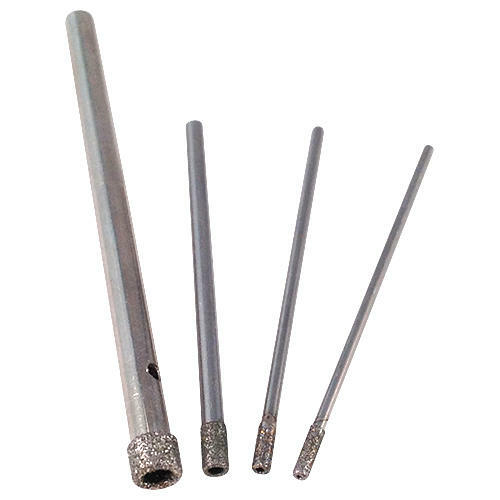 These small diamond drill bits are solid and therefore have a larger surface area than the small diamond core drills, making them more robust. Due to a larger diamond coated area they may last longer and drill more holes. Small Diamond core drills will glide through material a little easier and more quickly making them the ideal choice for beginners. Users often keep a combination of both types in their tool kit, or you may find a personal preference to using one over the other. 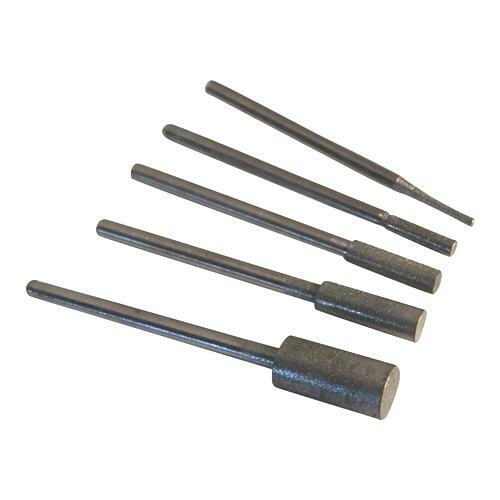 You will need an adjustable chuck attachment for your drill in order to hold the small shank sizes of these drill bits. Please look at the technical 'tab' to read the shank size dimensions. If you have a Dremel we highly recommend using the Dremel 4486 Multi Chuck to hold these small drill bits. 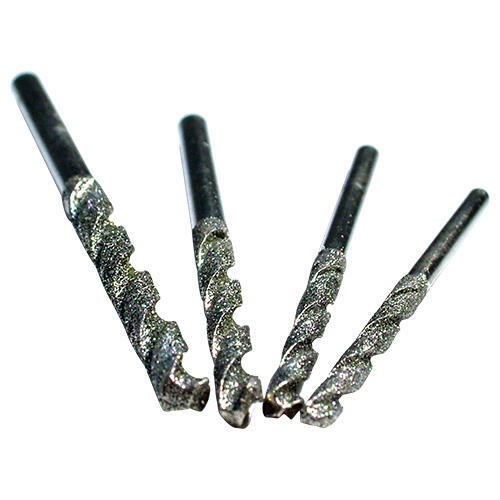 Tip: The following three crucial elements when drilling will prevent the diamond grit wearing off or burning away, will prevent the drill bit from snapping (too much pressure applied), prevent your material from cracking, and extend the life of your drill bits. 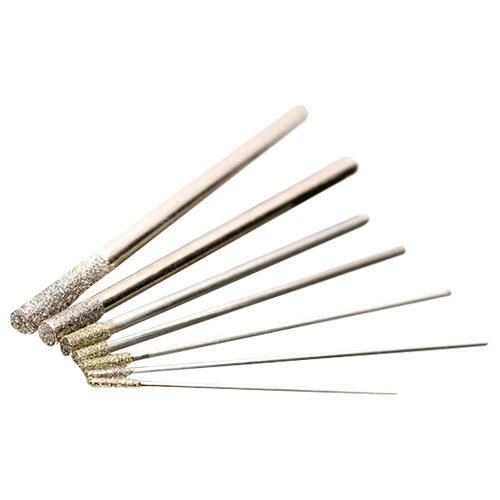 In order to get the best from our diamond tipped drill bits, please ensure you read through the Tutorials section on our blog before attempting to use our drills for the first time. Here you will find tips and video footage on how to drill glass, how to drill gemstones, how to drill bottles, how to drill pebbles and how to drill sea glass. There are also helpful hints on the correct speeds and pressure to be used. They are great products. I am happy with them. Very sharp initially, and lasted quite well. I've only used 0ne drill bit so far, out of 10 I bought. That's because it's still doing the job efficiently. Excellent drill bits for fused glass. These small drills do a great job, and last well. I use them on glass only. One 1,5mm drill has drilled through about a dozen sheets of 3mm thick glass, and is still very usable. Very good for the job in hand drilling glass and pebbles. wonderful drills. work very well. 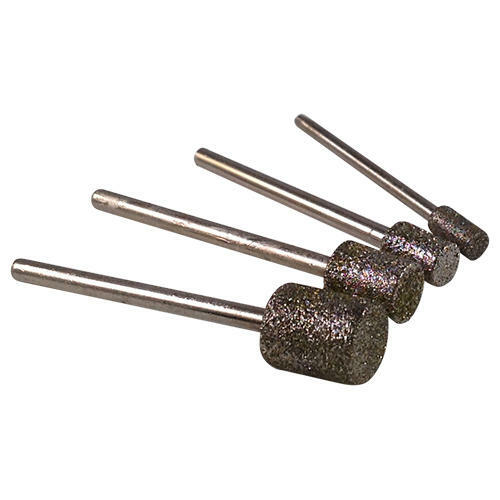 Hi, I need a diamond drill bit for my Dremel 3000 for use on semi-precious stones. Do you have these in stock? Many thanks. 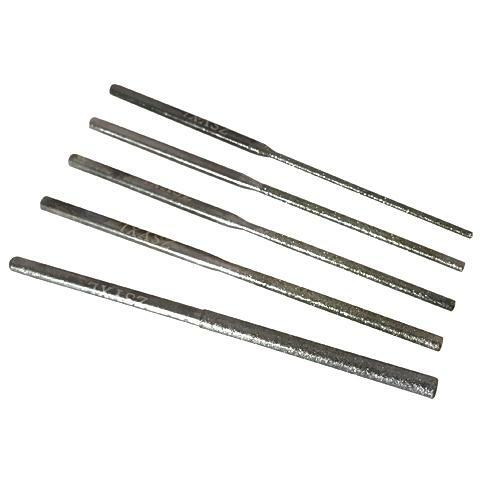 Hi Jean, Yes you're on the right page, the Small Diamond drill bits are ideal for drilling through semi-precious stones and other such hard materials. You will need an adjustable chuck to hold the very tiny shanks of these drill bits into your drill. 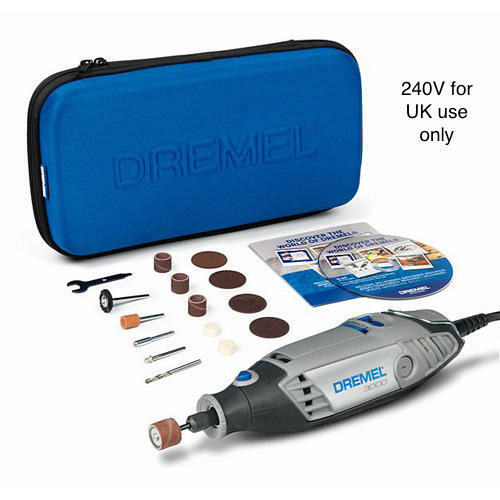 For your Dremel we recommend the Dremel Multi Chuck. Good to hear from you. We recommend using a Dremel 3000 drill with a Dremel Multi Chuck and use either the small diamond drill bits or the small diamond core drills. If you are new to drilling holes in glass we recommend trying the core drills first. 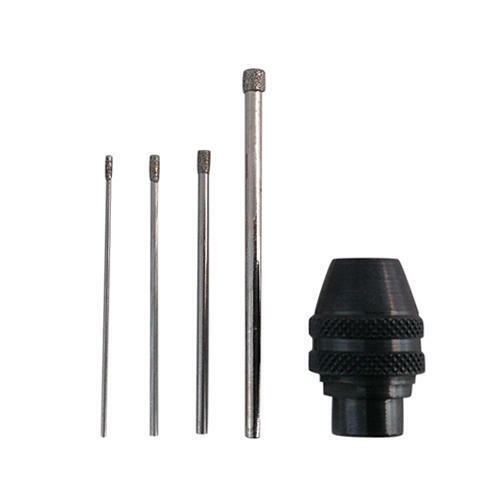 The size of the core drill indicates the size of the hole you will achieve, so if you need a 1mm hole, you will need to purchase the 1mm diamond core drills. All the best with the project. 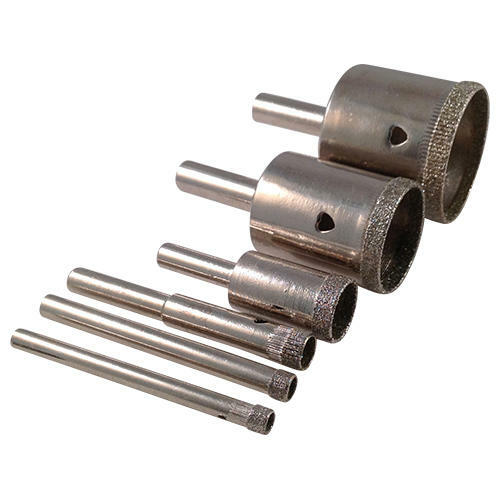 Will the small diamond drill bits work in a drill press ? Hello Ann, Yes they work perfectly well in a drill press. They will work in any drill so long as there is an adjustable chuck to hold the shank of the drill bits. Will your drill bits fit my drill? Our drill bits will fit all rotary drills so long as you have an adjustable collet or chuck with which to hold the shank of our very small drill bits. 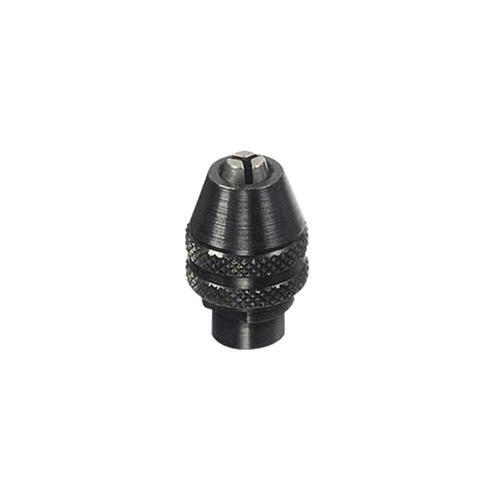 Sometimes when buying a drill they will come with an adjustable collet but if you find you are in need of one then we supply either a Dremel Multi Chuck (DMC4486) or a Dremel Collet Nut Kit (DCNK4485). I want to enlarge some very small holes in 4 -6 mm rough uncut diamond beads. I need the holes to be 1mm. to accommodate .8 - 1 mm silver wire. Would the drill bits be suitable for this? Should I use a twisted or core drill bit? To enlarge holes you need to use the Small Diamond Twist drills. 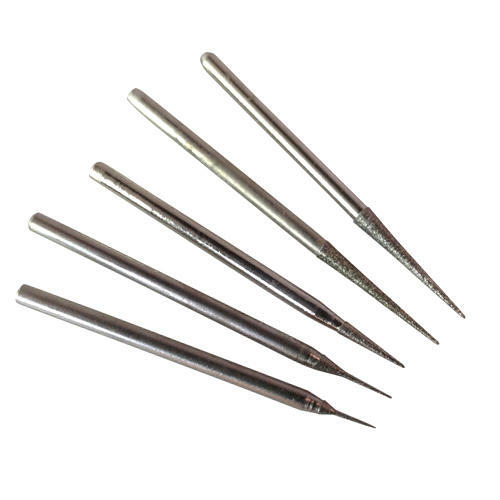 These are ideal for increasing the size of holes in beads once the hole has been drilled. Yes, the small diamond drill bits can be used on this material. They are ideal for hard materials so glass, enamel, ceramic, stone, glazed pottery and shell, that sort of thing. What is the diameter of the part that goes in the drill? Will these fit in a standard dremel? If not is there a light weight tool that can be used with them? I'd like to carve some small stones. Take a look at the technical tab where there are detailed specifications of each size drill bit and the diameter size of the shank. (the bit that goes in your drill) You will need the Dremel Multi chuck which attaches to your drill in order to hold the tiny shanks of these drill bits. Hi, are the bits for wet or dry use, and is a slower speed preferable to a faster one. Cheers. Will l need to buy a Dremel, or may I use a regular drill? A regular household drill will be too heavy and cumbersome for the delicate work you will be doing with these tiny drill bits.